Severe headaches, jaw pain, grinding teeth, and clicking or popping in the jaw joint can all be the signs of temporomandibular dysfunction (TMD) and can significantly interfere with daily activities. 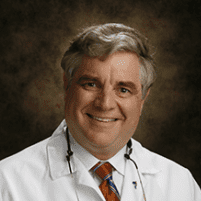 Dr. Woodruff and his professional team at the S. Clarke Woodruff, DMD office in Hellertown, Pennsylvania are highly trained in the treatment of TMD. The team begins by effectively relieving the pain first and then doing the necessary tests to know the cause of TMD. Call or click to fix an appointment today. The temporomandibular joint (TMJ) is a small joint that connects the jaw to the base of the skull. It is located in front of the ear and is plays a crucial role in the smooth movements and functioning of the lower jaw. What are some of the causes of TMD? TMD is a chronic degenerative condition that is best managed immediately upon diagnosis. How do I know I have TMD? Successful treatment of TMD involves an accurate diagnosis of its cause. Dr. Woodruff begins with history, a thorough examination of the jaw area, your bite, and X-ray reports. Medications help relax the muscle spasm and relieve pain. They include muscle relaxants, aspirin, other over-the-counter pain-relievers, or anti-inflammatory drugs. Tooth grinding is a common symptom that eventually erodes the tooth and leads to severe dental problems. Dr. Woodruff fits you with a specially molded night guard to reduce grinding and relieve the discomfort. Realignment involves adjusting the relationship between the upper and lower teeth when the jaw is closed. Dr. Woodruff may adjust your natural teeth or do some restorations. Surgery is necessary when all other conservative treatments fail to bring any relief, or there is evidence of joint damage. Surgery involves repair of damaged tissue by a direct surgical approach or by the least invasive technique through a tiny incision called arthroscopy. Dr. Woodruff would work closely with an experienced oral surgeon to complete this treatment. If you have Obstructive Sleep Apnea, our office will work in coordination with a sleep center and your physicians to determine the right approach for your needs. Most often, you may be a candidate for a sleep study, or you may need a dental appliance or CPAP device. What can I do to keep my TMJ in good health? Good preventive health habits can help you keep your TMJ in good shape. Proper brushing and regular visits to your dentist will pick up problems at an early stage. If you suspect you have the symptoms of TMD, don’t wait to seek treatment. Call or click to schedule an appointment with Dr. Woodruff today.